TA | LA friend, fiber artist, and indefatigable supporter of all things textile Cameron Taylor-Brown will be closing her one-woman show at Branch Gallery November 5. Fiber Trails features several series of artwork inspired by Cameron's journeys and includes Red Offerings (Bhutan), Majestic Stone (Peruvian Highlands), Colors of Gujarat (India) and LAVAfolds (Galapagos Islands, Ecuador). 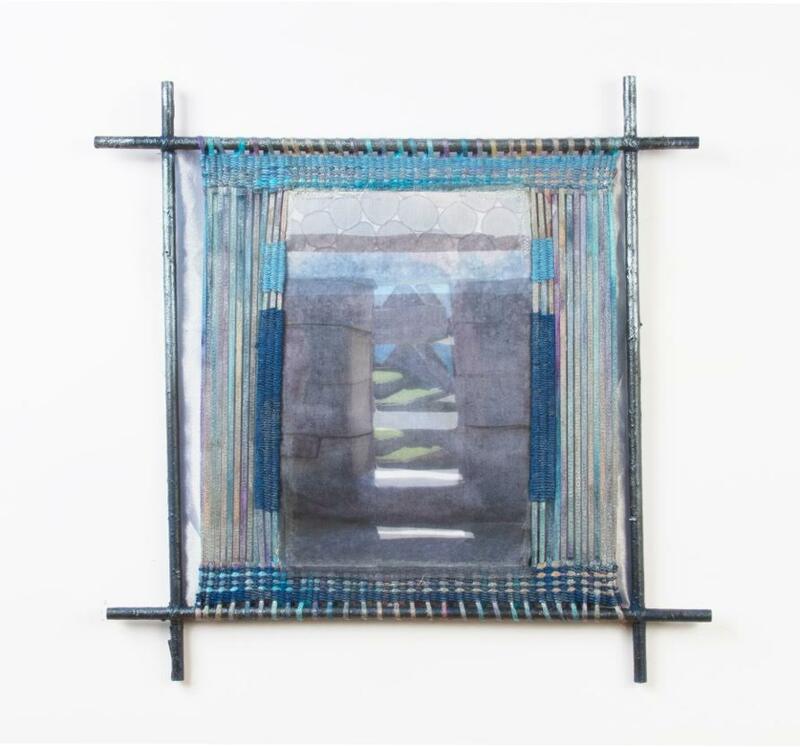 Taylor-Brown’s creative expression encompasses mixed media fiber collage, weaving and site-specific installation. In conjunction with Fiber Trails, Cameron presented an Artist's Talk and an interactive Workshop. Cameron shared images of landscapes, people and their traditional textiles and discussed how her travels influence her artwork. Participants in the workshop created a knitted, crocheted or woven design inspired by one of Cameron’s images or an image from their own journey.